The renowned car dealership Larry Roesch Chrysler Dodge Jeep Ram is well-known to the residents of Elmhurst, IL and its surrounding areas. Our family owned dealership has gone through a long journey of making good reputation since 1932. Whether you want to buy a new or pre-owned Chrysler and Dodge sedan, jeep, crossover, minivan, SUV or truck, or your vehicle needs maintenance by real experts, Larry Roesch CDJR is the right place for you. We offer an amazing car buying experience and highly efficient vehicle servicing. Larry Roesch CDJR not only deals in new cars but we have a large pre-owned cars’ inventory of two mighty brands such as Chrysler and Dodge. Our sales team is dedicated to help you in finding a budget car from our used and featured vehicles. If you face any difficulties in finding a car in its desired trim level, do not hesitate to contact our customer care and we will locate your anticipated vehicle for you in no time. 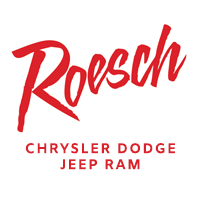 Larry Roesch CDJR in Elmhurst, IL is not only providing unbeatable car dealership services but we also have the best maintenance solutions for your Chrysler and Dodge vehicles at our Larry Roesch CDJR service center. Do not get worried about your worn down auto parts such as brake pads, wiper blades, car mats or fog lamps as our parts department has all original OEM parts. You can also order these auto parts online through our website and we shall make it delivered within no time. Larry Roesch Chrysler Dodge Jeep Ram is a one stop shop for your car buying and maintenance needs. We are serving in Elmhurst, IL and multiple neighboring areas. Being a resident of Illinois we urge you to make your way to our dealership today at Larry Roesch CDJR Elmhurst, IL or call our customer care representative and find out amazing deals and latest promotions on Dodge and Chrysler vehicles.